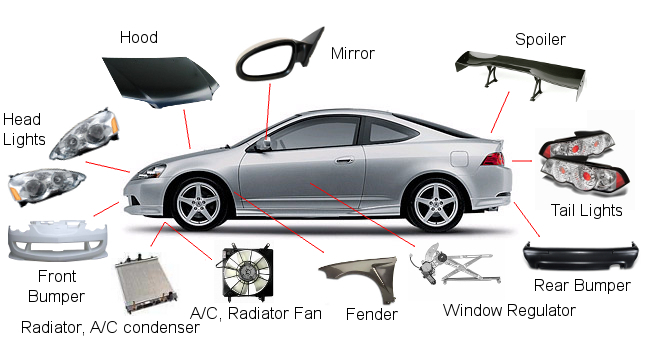 Since 2010, Car Wrecker NZ has been dealing with used panel parts & body parts at affordable prices for a long time. Enjoy quality customer support, and access to a world of quality used panel & body parts. To find the right panels or body parts for your vehicle - Text us on 021873853 or Call us at 0800997000 today! Reliable car parts, quick turnaround, quality workmanship and guarantees are what helps automotive businesses compete successfully, keep their clients happy, while dramatically increasing profitability. We work primarily with the panel, mechanical, auto-transmission and auto electrician workshops and suspension and brake specialists. We buy any vehicles with broken or damaged panels. Cash paid on the spot for cars, vans, SUVs, 4WDs and trucks. Call us on 0800997000 - To get the free no-obligation quote for selling your motor vehicles. Car Wrecker NZ stock and supply quality auto recycled panel or body parts for all makes and models. Car Wrecker NZ stock secondhand replacement panel parts for all makes and models of cars, vans, SUVs, 4WD & trucks. We've Got It! Quality used engines for sale at affordable prices. Choose from a wide range of top makes like Toyota, Nissan, Mitsubishi, Mazda, Isuzu, Honda, Subaru, BMW, Volkswagen, Audi, Mercedes-Benz and many other makes. Get affordable & quality used panel parts, car body parts, doors and tailgates for cars, vans, SUVs, 4WD trucks and other vehicles. Top quality used panel parts for sale including a wide range of body parts. We also stock an extensive range of doors, bonnets & tailgates. We stock used panel part, body parts, doors, bonnets & tailgates for all makes & models. We are specialised in Japanese vehicles but we do stock European, Australian, Korean, German and other vehicles. Are you looking to sell your vehicles with damaged panel parts? Can't Find it in our yard?